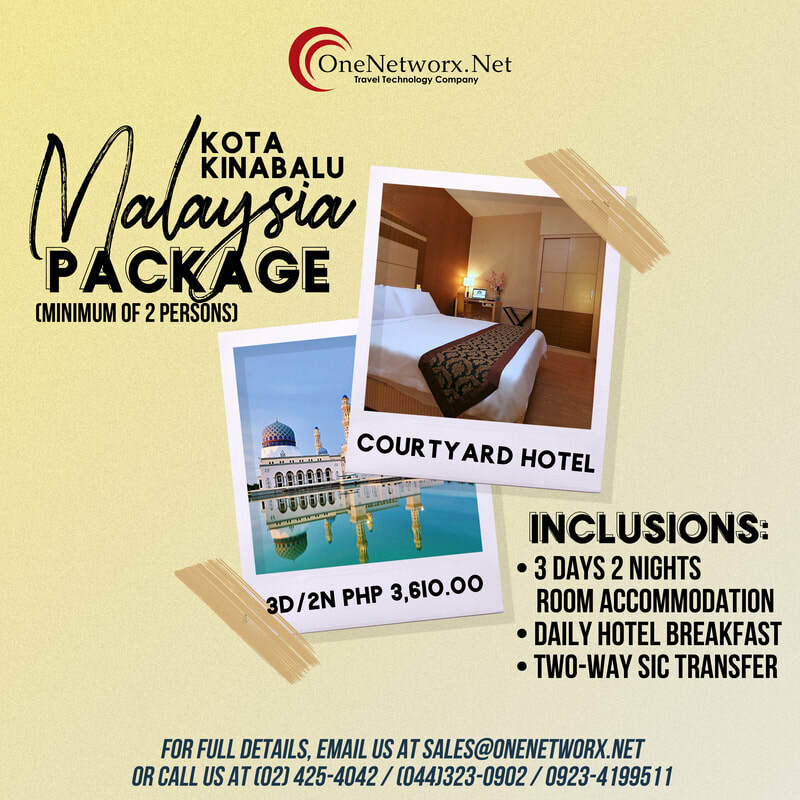 Kota Kinabalu is often known as KK both in Malaysia and internationally. It is a major tourist destination and a popular gateway for travellers visiting Sabah and Borneo. Kinabalu Park is located about 90 kilometres from the city and there are many other tourist attractions in and around the city. Kota Kinabalu is also one of the major industrial and commercial centres of East Malaysia. These two factors combine to make Kota Kinabalu one of the fastest growing cities in Malaysia. 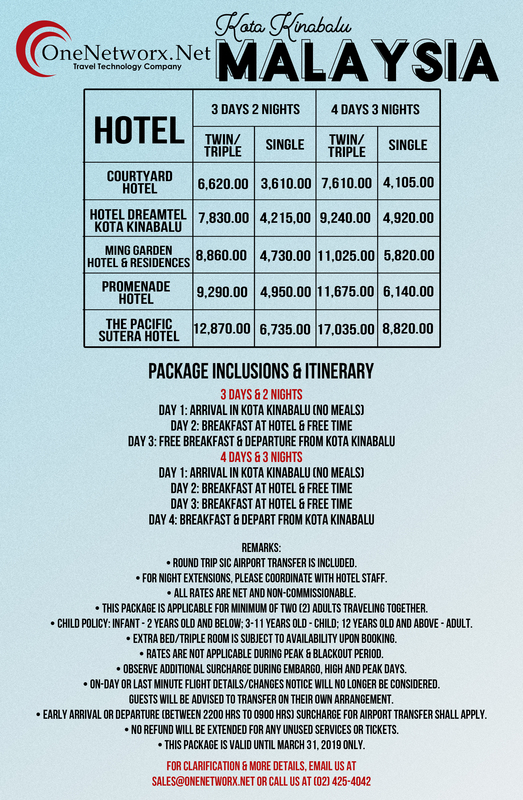 For as low as $98, enjoy a 3D/2N vacation in Kota Kinabalu (Based on twin sharing, airfare not yet included). If you need more information, please see package below. 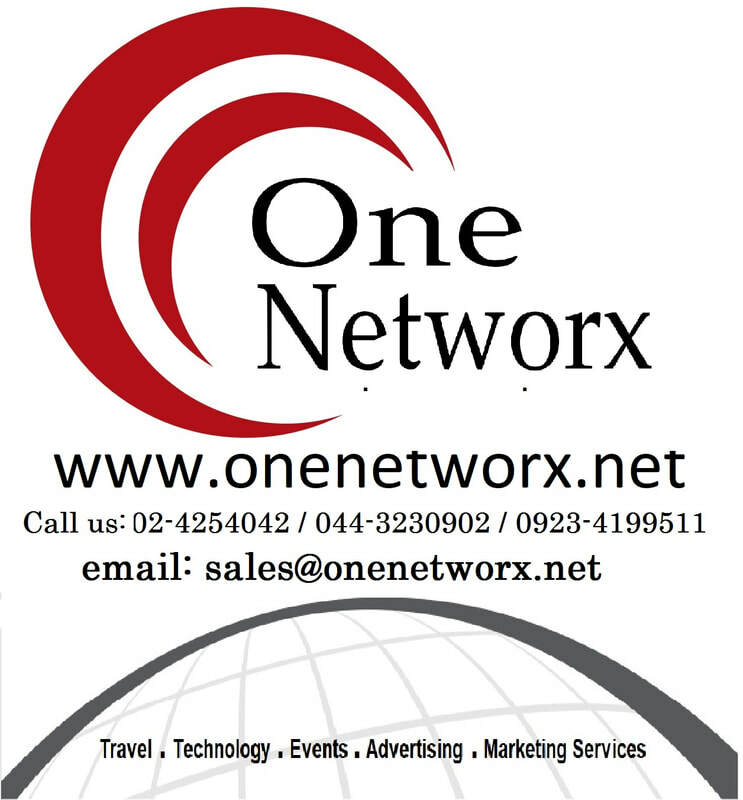 You can also email us at sales@onenetworx.net. do you prefer online booking?